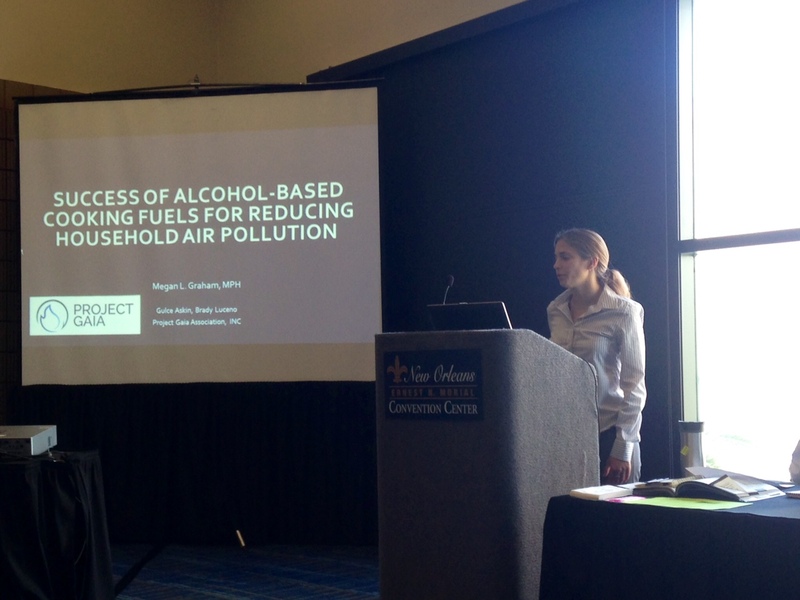 Project Gaia joined 13,000 health researchers and professionals at the 2014 APHA Conference, November 15-19 in New Orleans, Louisiana. The presentation informed about the HAP monitoring results from the 2008-2011 Madagascar cookstove intervention study, a joint effort between Project Gaia, UC Berkeley, University of Liverpool, Tany Meva and others. The results demonstrate the potential of clean liquid fuels to meet cookstove emissions goals. Click here to access the full health component of the World Bank Madsagascar Report. Megan Graham, MPH presents on the health results of the ‘Ethanol as a Household Fuel in Madagascar’ Study at APHA 2014. The ethanol stove and fuel approach to improving health and safety for women and girls in a humanitarian setting. The WHO Coordinator for Public Health made the below statement about the need for scale-up of modern technologies including ethanol stoves and fuel. – Dr Carlos Dora, WHO Coordinator for Public Health, Environmental and Social Determinants of Health. It is likely the new WHO guidelines will create a tremendous and much needed shift towards truly clean, liquid stoves and fuel.